Take I-95 South to I-476N. Follow I-476N approximately 31 miles to the Lansdale Exit #31. After passing through the toll plaza, turn left at the light onto Sumneytown Pike. At the next light, turn left and follow the road to the light at Forty Foot Road. Turn left onto Forty Foot Road and follow to W. Main Street (also known as Welsh Road). Turn right onto W. Main Street and follow to the light at Valley Forge Road. Turn left onto Valley Forge Road and follow to W. 5th Street. Make right. REC is on left. Trucks should go past 5th St and make first Right into REC truck entrance gate on Valley Forge Road. Take Route 95 North to Route 476 North and follow the above directions. Take PA Turnpike (Route 276) West to I-476 North East Extension. Take I-476 North to Exit #31 and follow directions as described above. Take PA Turnpike (route 276) East to I-476 North East Extension. Take I-476 North to Exit #31 and follow directions as described above. 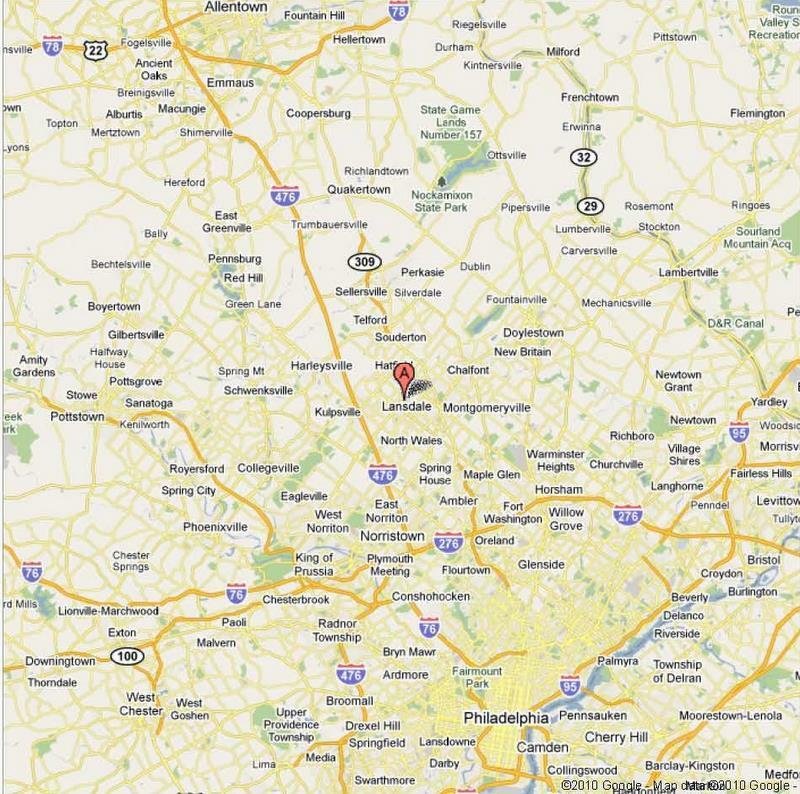 Take I-476 South to Exit #31 and follow the above directions.